Show off your Philadelphia pride in the office or at your desk with an official MLB licensed desk caddy. 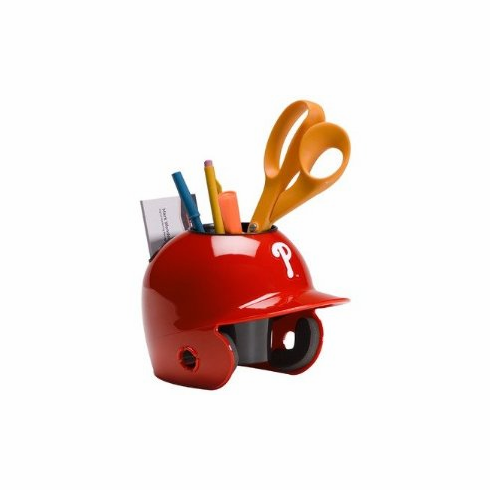 This desk caddy is shaped just like the helmet your Phillies wear when they get up to bat. It's the perfect spot for any Philadelphia Phillies fan to store pencils, pens, scissors, and more. It even has a spot for business cards. Plastic mini-helmet measures 7" x 6" x 5.5".